It’s getting harder to get tickets for Comic-Con each year. But, it’s also getting easier to enjoy Comic-Con without an entry badge. That’s because as the Con has exploded in popularity, so have the events held outside the Con that can be enjoyed by all. 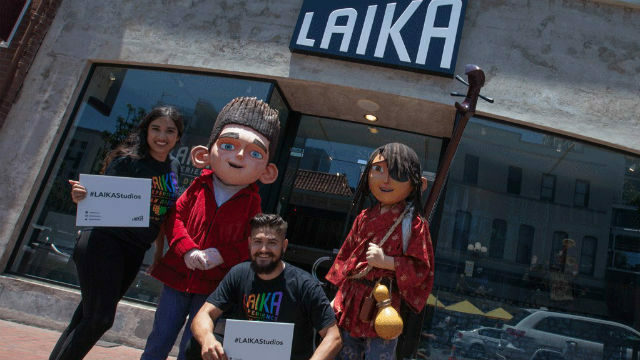 This year, events outside the convention center include “The Laika Experience,” a display of props, puppets, monsters and sets from the studio behind animated films “Caroline,” “Paranorman,” “The Boxtrolls” and “Kuba and the Two Strings.” The pop-up event is in the Gaslamp at 520 Fifth Avenue and will be open all week. What’s better than seeing Wonder Woman on the streets of San Diego? Seeing a whole bunch of Wonder Woman! With the popular and critical success of this year’s “Wonder Woman” film, expect a lot of women in their fiercest Amazon warrior costumes to descend on the Wonder Woman Cosplay Meet-Up Spot. It’s scheduled for Saturday, July 22, at Side Bar on 536 Market St. Meanwhile, studios will erect giant displays on the grounds near the convention center. Some of these might require a Comic-Con badge to participate in their interactive experiences but many will be out in the open for the public to enjoy and snap selfies. They include “The Tick Takeover” on the corner of 1st Avenue and Martin Luther King Jr. Promenade; NBC’s “Midnight, Texas” experience promoting its new show in the Gaslamp Square, next to the Tin Fish restaurant; a Viking funeral promoting the History channel’s “Vikings” at 7 p.m. Friday at the Embarcadero Marina Park South; and the FX network’s exhibits on its shows “Legion,” “The Strain,” “Archer” and “American Horror Story” on the lawn of the Hilton Bayfront Hotel. For more events outside the Con, visit the Outside Comic-Con site.